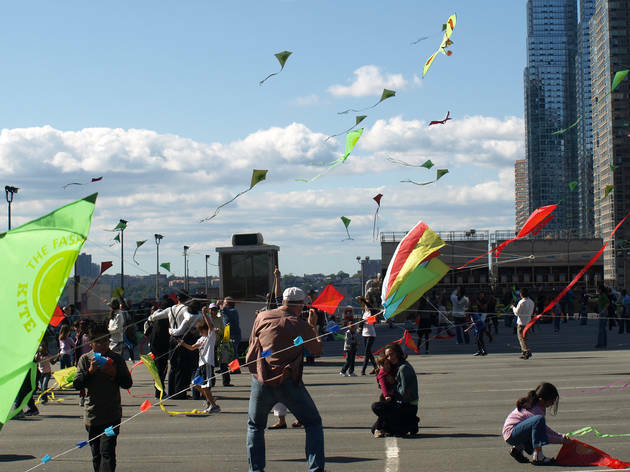 Kite flying may recall scenes of pastoral landscapes and beachside scenery, but at this annual workshop, youngsters can take on the wind New York City style—on the rooftop of the Port Authority. 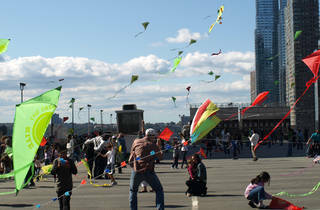 Artists will be on hand to help kids create their own gliders, while seasoned pros will assist with the flying. If they’d rather stick closer to the ground, participants can work on craft projects, play games, nosh on snacks and take in live entertainment. Ages 4 to 10.